Star Wars fans got more than presents yesterday thanks to an Instagram post from Jon Favreau. 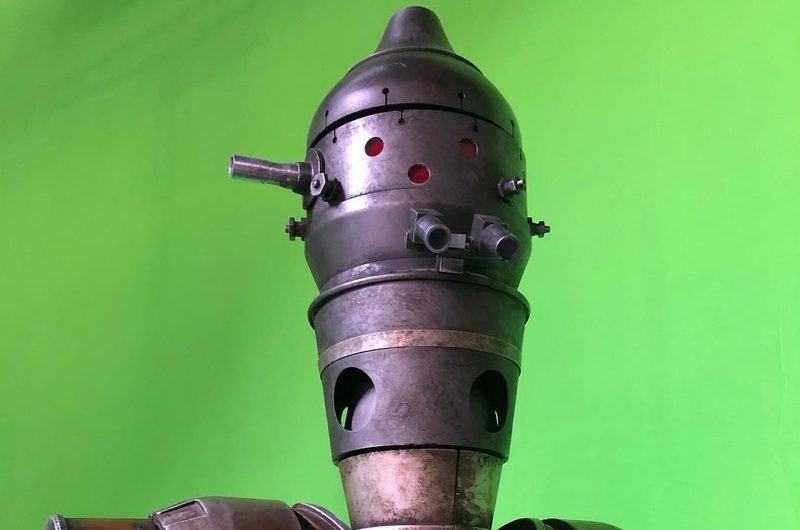 Favreau, on his IG account, shared a shot of IG-88 from the set of The Mandalorian, which now confirms a rumor that famous Star Wars franchise bounty hunters will pop up in the Disney+ exclusive streaming series. Who knows if IG-88 will be joined by the likes of Dengar, 4-LOM, Bossk, and Zuckuss, but at least we know one of the iconic bounty hunters from The Empire Strikes Back will be in The Mandalorian. In terms of IG-88’s look, he does appear to be a bit bulkier than when we last saw him. He seems way thicker in the chest area if anything else, so maybe he gave himself some upgrades in between Empire and now. The shot shows him in front of a green screen too, so it looks like IG-88 may be a fully practical character, and not computer generated. Stay tuned for more The Mandalorian updates as they become available.